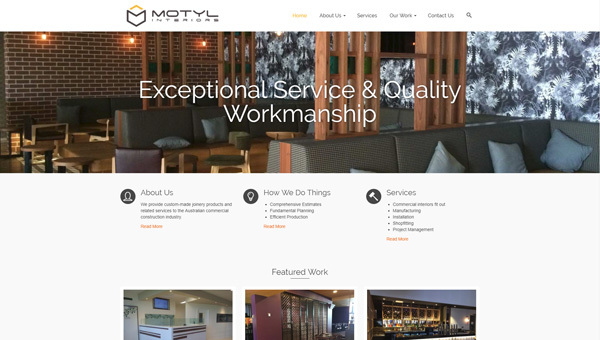 Motyl Interiors provides custom-made joinery products and related services to the Australian commercial construction industry. The company previously did not have a website. The brief was to create a new website that showcased the work of Motyl in a gallery. Dozens of photos were edited to bring them up to standard. This project allowed the Motyl to grow significantly after it went live.